Book Your Lake City Golf Event Today! Quail Heights Country Club has a lot of tournaments that you can either test your golfing ability, that you can enjoy or even both. 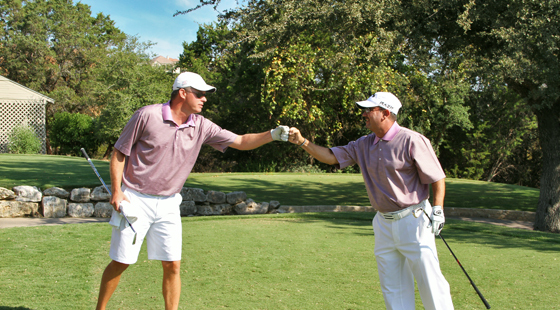 For the serious golfer, we have five two day tournaments that are open to anyone with a USGA handicap. There is the Captain’s Choice, the Invitational, the Lake City Open, the Quail Shoot and the Two-Man Best Ball. We usually have a good turnout for each event and they are enjoyed by everyone. So check out our calendar and sign up for one and maybe even all of them. For the more laid back golfer, Quail Heights offers fun club tournaments like the Mixed Team, Halloween Scramble or the ever famous Moon Golf. As well as the events we put on ourselves, we host some of the best charity tournaments around North Florida. Always check our calendar to see when all of these fun events are scheduled. If you are looking to have a tournament for your charity or business, we can do that for you. We can provide your organization with a first class run tournament. We can take all the stress out of your tournament day.